Melissa DeHaas is a Colorado native, born in Colorado Springs but moved to Aurora in 1990 and has been there ever since. Melissa has always been strong in Math and found her place when Aurora Financial Ser-vices, LLC (AFS) was born. She went to school and received a degree in Accounting from Argosy Univer-sity. 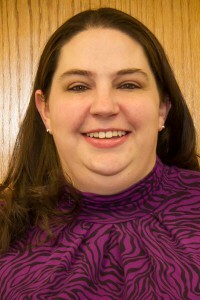 She is our lead bookkeeper and contact for our small businesses on payroll and sales & use tax re-turns. While Melissa still works for Aurora Financial Services, Inc as well, she started Bamboo Bookkeeping as a free-standing bookkeeping business. Bamboo Bookkeeping now provides a number of bookkeeping and other non-tax services and can better serve clients under a different business model. She loves just meeting people and hearing about what they do for a living and for fun. She also has be-come our expert for trade businesses such as electricians, plumbers and locksmiths. She still also works with many other service businesses such as property managers, tattoo shops, car services and many more. In her free time, she enjoys spending time with family playing games, watching movies and going on hikes around the state. She is an avid Broncos fan. She looks forward to doing more traveling and trying new places. Our featured client is SJO Electric, LLC. We have been working with them since 2014. While working in their office on a weekly basis, we see how they manage projects and work with customers vendors. They go above and beyond to make sure their customers are happy. Please contact them today! "SJO Electric, LLC is a full service Electrical Contractor offering complete electrical contracting services for commercial and residential customers serving the Denver Metro area and Colorado’s Front Range. We are proud to provide any needed electrical services for Commercial, Residential, Tenant Improvement, New Construction, and Remodeling projects. We have a dedicated and professional service department that is ready to respond to your call." Mention This Spotlight and receive a 10% discount for electrical service under $500.00 (for new clients).